» Best Backpacking Pillows. Carry the Comfort in Your Backpack. The allure of backpacking is leaving everything behind and hit the reset button. Backpackers are adventurous spirits looking to explore the world around them, reconnect with nature and leave the crazy demands of today’s life behind, even if for a day. This often means minimalistic packing. The point is to have only the essentials with you and still maintain your backpack at its lightest. As a result, some basic but important comforts, like the best backpacking pillow, are overlooked. Bringing a pillow with you while backpacking is something many backpackers fail to even consider. The pillow will just take up space and there is always the option to stuff your clothes in a bag and use them as a makeshift pillow. While this is a workable alternative to having an actual pillow, it is not a very comfortable one. 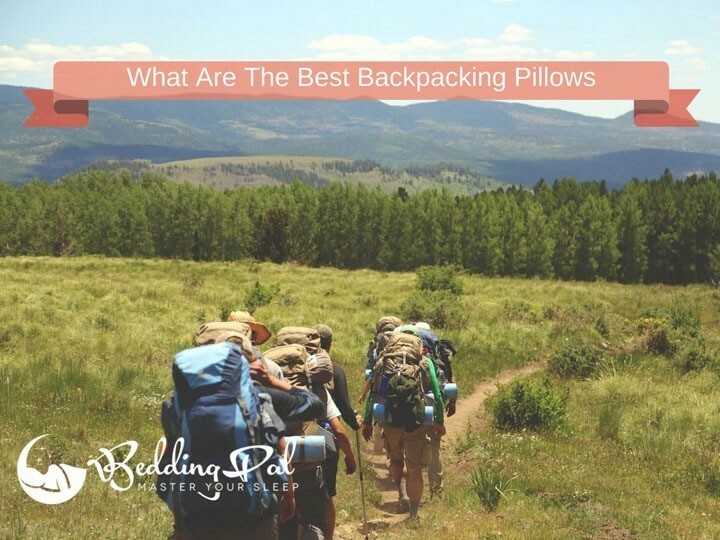 That being said, the question that comes to mind is where to find the best backpacking pillow and how to know which pillow is the best in the first place. Worry not; we recognize the challenge that is shopping for the right backpacking pillow. Here, we shall explore the concept of the backpacking pillow, the different types, advantages, and review some of the best sellers in today’s market. So shall we? Why Do You Need A Backpacking Pillow? Which Backpacking Pillow is the Right For You? It is not uncommon to have backpacking pillows confused for traveling pillows and vice versa. The two pillows are created to be compact and ideal to take with you almost anywhere you go. They are both light in weight to keep from adding unnecessary weight to your luggage or backpack. Some are even similar in the materials used to manufacture them. However, there exist some fundamental differences between the two that every backpacker needs to be aware of. The difference between these two pillows stems from their use and their shapes. Travel pillows are designed to make it comfortable for you to enjoy a nap when you are seated. They are therefore mainly designed with the support of your head and neck while in a seated position in mind. It is for this reason that travel pillows are primarily U shaped. This shape allows them to take care of your head and neck regardless of the side your head chooses to fall as you sleep. Backpacking pillows, on the other hand, are designed to make it easier for you to achieve the comfort of using your regular home pillow while in the middle of no-where. It is for this reason that backpacking pillows have been made to look a lot like your regular home pillow, just a lot more portable. There is bound to be confusion when you try to differentiate between backpacking pillows and camping pillows. After all, the whole point of both products is to provide you with that "home away from home" comfort of your regular pillow when you are in the middle of nowhere. Well, while backpacking pillows are justifiably camping pillows, not all camping pillows can work as backpacking pillows. If this has worked to only make the state of confusion worse, let me explain. The key difference between backpacking pillows and other types of camping pillows is their size and weight. If you are car camping, for example, you can afford to carry with you a larger, heavier camping pillow as opposed to backpacking. Of importance to backpackers is that the load that they carry with them is not only full of essential items but light as well. It is for this reason that backpacking pillows are designed to add minimal weight to the backpack and have a compact design that makes them space friendly. Compressible pillows are the closest you will get to a regular home pillow as far as backpacking pillows are concerned. They are made using similar materials as many of them contain either down feathers, foams, synthetic fibers or a combination of two or more of these materials. If comfort is what you seek, then these pillows would be ideal for you. The disadvantage of compressible backpacking pillows is that they tend to consume a considerable amount of space. They are also heavier compared to the inflatable and hybrid options. Inflatable pillows are simply put, pillows filled with air. Here, you can choose between auto-inflating (self-inflating) or manually inflated pillows (you have to literally blow air into these ones). Given that backpackers are always looking for things that are easy to carry and use, these pillows fit the bill. They are space friendly since they can be deflated after use and can, therefore, fit into the smallest of spaces. They are extremely light with or without air making them easy to carry without being a burden to the user. Another plus to these pillows is that you can adjust their loft by either adding air or letting the air out as necessary. The only down side to these pillows is that they tend to be rather a noise whenever you turn in your sleep. They are also rather uncomfortable when you compare them to the compressible pillows. Hybrid pillows combine the benefits of the later into one pillow. They borrow the softness and comforts offered by compressible pillows and make them space friendly by incorporating an inflatable section. While they may not be as comfortable as compressible pillows, they are a step up from inflatable pillows. The compressible top also helps to get rid of the noisiness of the inflatable pillows. They are, however heavier and bulkier than the inflatable types. No doubt that this question has crossed the mind of many backpackers. The extra weight added to and space taken up in a backpack is certainly no inspiration for including this pillow in one’s list of must-haves. Best backpacking pillows, however, do offer a number of benefits to their users. 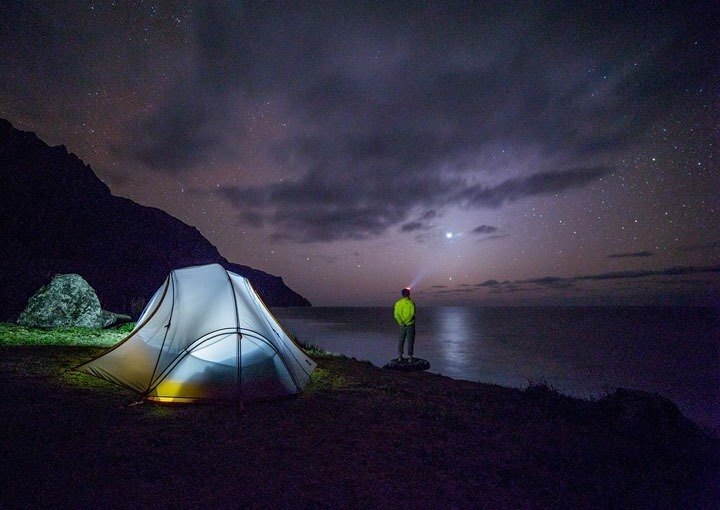 They help improve your sleep: Whether you are backpacking for pleasure or for leisure, it is important that you get a peaceful night’s rest to re-energize for the next day. A backpacking pillow will help to improve your sleep by providing you with both a comfortable place to place your head and ample support for your neck and shoulders. They are portable: Due to their compact nature, backpacking pillows are easy to carry. Depending on the type of pillow you settle for, they take up minimal amounts of space and add a negligible amount of weight to your backpack. These features, therefore, allow you to have the comfort of a supportive pillow as you sleep while ridding you of the burden that carrying a normal pillow would have been. 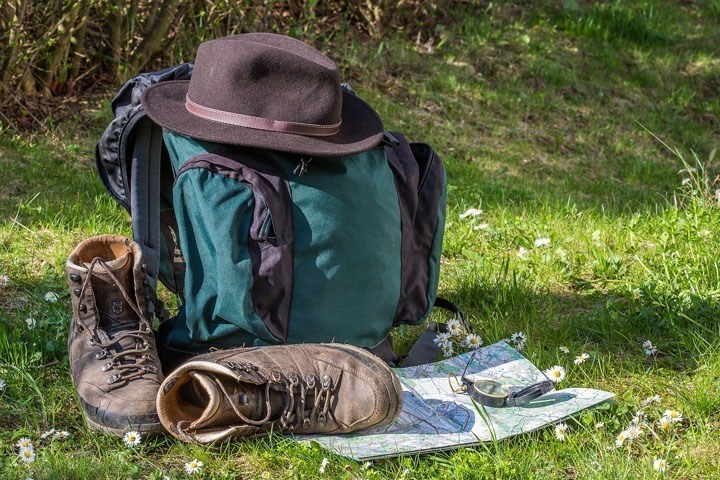 They are versatile in their use: Whenever you are going backpacking it is important that you have items that are capable of serving multiple purposes. These pillows do just that. They not only provide support as you sleep but as you travel. You can also use them whenever you are car camping as well. This versatility in use makes them truly worth the money spent to acquire them. The Size of the Pillow: The size of the pillow determines more than just the space taken up by the pillow in the backpack. It determines just how effective the pillow is at supporting you as you sleep. While a small size is ideal to keep the pillow from being bulky and cumbersome to carry, it is important that you match the size of the pillow to your sleeping position. For effective support, side and back sleepers might opt for pillows that are lengthy when in their usable state while stomach sleepers might go for pillows that are generally thinner. The Weight of the Pillow: The rule of thumb here is the lighter the better. Remember you are going backpacking meaning that you shall have all your belongings on your back at all times. Maintaining a light load is, therefore, important. If the weight of your load is a primary concern (which it is for most people) then inflatable or hybrid pillows would be best suited for you. The Shape of the Pillow: Backpacking pillows generally have the traditional rectangular/square shape. However, pillows in the market today make use of ergonomic designs that see the incorporation of contours. The type of pillow shape you go for will greatly be informed by the. The type of pillow shape you go for will greatly be informed by your preferred sleeping position. Contoured pillows may be a good choice for back and side sleepers. The Lift of the Pillow: Again, this is informed by your ideal sleeping positions. Back and side sleepers may need a higher pillow compared to stomach sleepers. Inflatable and hybrid pillows are best suited for people looking for the freedom to determine both the lift and the firmness of their pillows. Your Comfort: The purpose of a backpacking pillow is to provide you with the comfort you are accustomed to when using your home pillow. The ideal pillow is one that provides your head and neck with adequate support as you sleep. Compressible pillows, albeit heavier, are best suited where comfort is the primary concern. The Materials Used: The choice of material for a backpacking pillow will determine its comfort. Some inflatable pillows make use of a nylon material that makes them rather noisy and uncomfortable to sleep on. The choice of the material will also determine the heat dissipation abilities of the pillow. When shopping for a backpacking pillow ensure that the material used to make both the pillow and the pillow cover is breathable, easy to clean and comfortable. Versatility Of Use: Backpacking pillows often double up as travel pillows. This is due to their compactness and light weight. Having a multipurpose pillow is a good way to get the most value out of your pillow of choice. Ease of Use: While backpacking, you seldom have the luxury of time to assemble complicated equipment. The idea is to take with you only that which is functional, necessary and easy to use. When shopping for a backpacking pillow (especially the inflatable and hybrid pillows) it is important that you find one that is easy to set up. Opt for a pillow that is easy to inflate and deflate as well as easy to pack away at a moment’s notice. The latter applies, especially to compressible pillows. Consider The Warranty: A warranty given on any product by the manufacturer is a show of faith in their product. Opt for pillows that come with a warranty. However, take into consideration the duration of the warranty, as well as the terms of the warranty. The period and terms of the warranty speak volumes about the quality of product you are about to purchase and give you an indication of the expected shelf-life of the pillow. Anti-Slip Properties: The idea of investing in a backpacking pillow is to ensure that you achieve comfortable, pain-free sleep throughout the night regardless of where your adventures take you. It, therefore, beats the purpose of having one if it keeps slipping away every time you turn. Anti-slip properties of the pillow are determined by the materials used. Rayon or silk fabrics are notorious for their slipperiness. You might want to avoid pillows made from these fabrics. Durability: To get the most bang for your buck, you need to invest in a durable pillow. This is especially so if you are a frequent backpacker. The durability of your pillow is primarily a factor of the fabrics used. Opt for pillows that make use of high-quality fabric. You also have to diligently take care of your pillow in order to extend its shelf-life. The Therm-a-Rest brand has made a name for itself as a reliable camping and backpacking equipment partner. Their compressible pillow lives up to this name, hence its inclusion in this guide. It is designed with campers and backpackers in mind. The size, lift, and firmness are, therefore, optimized to provide adequate neck and head support to its users. This, in turn, keeps sore and, or stiff necks at bay. It is also made to be soft to enhance its comfort. Another plus is its ease of use. It is designed in such a way that its sac is part of the pillow itself and all you are required to do is adjust the drawstrings to help compress it when you need to put it away or expand it when you need to use it. Lastly, it is easy to maintain as you can easily machine wash it. It also takes a short amount of time to dry it. The only downside to this pillow is its weight. It has a total weight of 8.6 ounces making it heavier than it backpacking counterparts. The Trekology Ultralight inflating pillow has earned a spot in this guide due to its lightweight, its versatility of use, its compact design as well as its comfort. These are all key features of any backpacking pillow. It has a total weight of 2.75 ounces and can be packed to fit a two-inch bag. This space friendly and lightweight nature of the pillow make it a suitable backpacking companion. This pillow is easy to you use you can inflate and deflate it in under a minute. Its ergonomic design helps to not only provide comfort but the much-needed support to its users. To enhance its comfort, the manufacturers make use of a blend of polyester and TPU fabric that keeps it from slipping as you turn in your sleep. Another plus is the ability to adjust the firmness of the pillow to suit your needs. Simply inflate or deflate your pillow until you attain the desired height and firmness. The manufacturers of this pillow understand adventure seekers will often seek the thrill of adventure regardless of the season. It is for this reason that they have made their pillow be waterproof and usable in hot weather conditions. What’s more, the pillow comes with a lifetime manufacturer’s warranty. If you are a frequent backpacker then you understand the need for affordable yet durable products. The ONWEGO ‘Soft Top’ Inflatable backpacking pillow posses’ these key features of a good backpacking pillow; hence its inclusion in this guide. Aside from its longevity and its affordability, this pillow is also quite comfortable. It is manufactured using a combination of polyester and cotton that give it its comfortable and durable features. It is also designed to be space friendly and can fit into a bag that is four inches long, four inches wide and three inches in height. It is also light in weight, weighing about four ounces. Its compact design and light weight make it an ideal pillow for backpackers as it does not occupy large amounts of space nor does it add a lot of weight to the backpack. Another plus is the fact that it comes with a removable cover that can easily be cleaned. All you need is clean water and mild detergent or soap and you are good to go. Comfort and affordability are two features to keep your eyes peeled out for whenever you are shopping for a backpacking pillow. The ChillaX Ultralight Camping Pillow offers you this and much more. It is easy to use and does not require a lot of space. This coupled with the fact that it is light in weight makes it an ideal backpacking companion. To ensure that you get a good night’s sleep, this pillow includes a sleeping mask in its package. It is easy to inflate and deflate. The latter makes it easy to pack away whenever you want. When not in use, it can easily fit in a 2 x 5-inch stuff sack. It weighs a total of three ounces making its weight contribution to your backpack rather insignificant. It is a versatile pillow as it doubles up as a suitable back support pillow. This is useful for people who spend a lot of time in a seated position. What’s more, this pillow comes with a money back assurance should you find it to be unsatisfactory. After a long hike, the chance to lay your head on a soft surface and drift off to slumber-land is a welcomed one. This guide would, therefore, be incomplete without the mention of the NEMO Fillo inflatable pillow. Thanks to the shape and comfort provided by this hybrid pillow, it is compatible with a variety of sleeping positions. Users have the freedom to choose the height and firmness of this pillow by simply adjusting the air within the pillow. It gets its comfort feature from the foam used on the topside. This is enhanced by the use of micro-suede and, or jersey knit fabrics on the pillow covers. These fabrics are breathable and help to keep your face warm and comfortable as you sleep. It is 17 inches in length when in its usable state. This size makes it capable of adequately supporting your neck and head as you sleep. It is also an ideal length for back support while you are traveling or when in a seated position for long amounts of time. Although this pillow is not as small as your regular inflatable pillows, it is rather small when compressed into its stuff sack. It is also heavier than the previously reviewed pillows and has a total weight of 10.4 ounces. Backpacking pillows are a necessary evil in order to achieve a goodnight’s sleep when away from the comfort of a regular bed. The different types of pillows cater to the needs of different backpackers. There are various aspects of a pillow to consider before spending your money on it. One aspect that cannot, however, be compromised is your comfort. If a pillow is incapable of providing you with the support and comfort you need then it adds no value. If you have read through the guide, then you have a working understanding of what it takes to make the best backpacking pillow and the factors to look out for. Again, the concept of the ‘right’ pillow is highly subjective and will differ from one individual to another. Be sure to carefully weigh the features of any pillow against your needs. With that said, happy backpacking folks!